Around this time of the year at the waterfalls the water gets cold and the natural conditions take on a new element of change as they wash away the leaves from the autumn months and take on their winter form. The waterfalls of New England are rather unique because they go through such drastic change throughout the year as the seasons come and go, making them truly unique during each and every visit. This here is Doane’s Falls in the Massachusetts town of Royalston, an area of the state that is quite interesting in terms of water features. 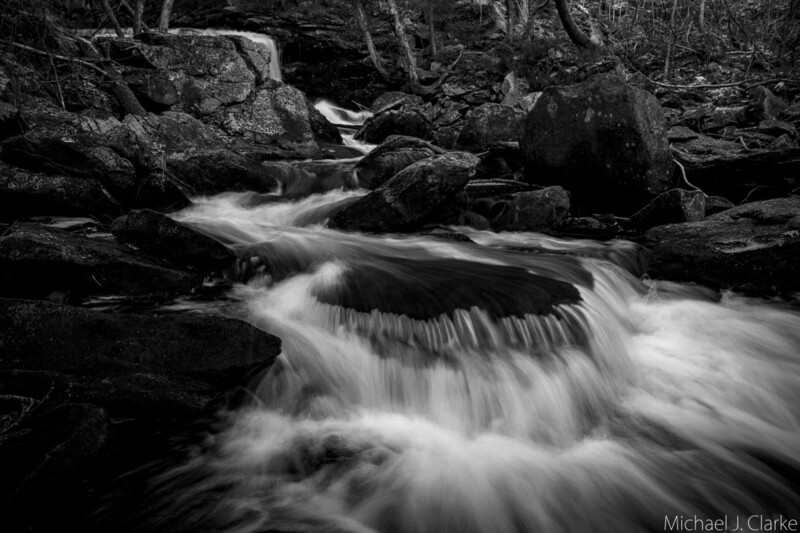 These cascades sit on the Lawrence Brook which provides a powerful source of water for the cascades that run through this stretch of land. On this visit the water running through the falls was ice cold just like the air temperatures, and had already washed away most of the autumn leave coverage which left behind a more barren but still beautiful formation. The action and clarity that rivers display during the winter months makes for especially clean forms, and makes the hard work and extra gear worth the effort. The rivers are often displaying their last gasps of motion before ice and snow take over during the long winter. As the temperatures dip below freezing the battle between rivers and mother nature is usually an ebb and flow that can fall in either direction, and during the times of transition the rivers and waterfalls are sometimes at their most interesting state. Doane’s Falls and the Lawrence river were having their last few days of smooth flow during this visit, and it was a good chance to witness them before the freeze.